The location was great when it came to distance, quite close to the Arena, just what I needed since I was attending a concert. Our room (a double bedroom with private bathroom) was spacious and clean. It was also quiet, which was good considering the busy area. It was located near a train and subway station making it easy to travel around the city. The location is good since the metro station is close and there is a big supermarket on the other side of the road which is opened 24/6. The staff was also very friendly and helpful. The rooms are quiet despite the road is full of people all night long. Some of the staff was helpful in understanding the area. I will never come back to this hotel again, even if it was free. I advise you not to book this hotel. location is definitely great. hostel is clean and well organized and friendly staff. The staff was very helpful. Everything was clean and the wall paintings were nice. Breakfast was also tasty. Hotel Friedrichshain This rating is a reflection of how the property compares to the industry standard when it comes to price, facilities and services available. It's based on a self-evaluation by the property. Use this rating to help choose your stay! 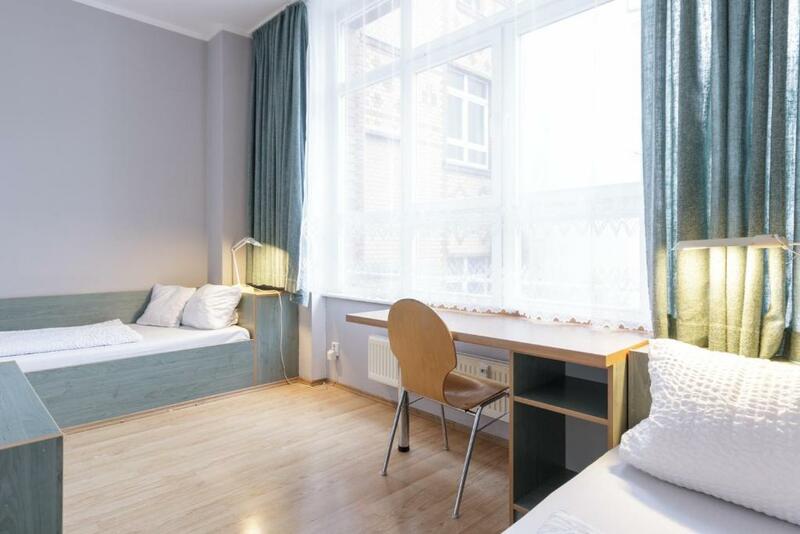 Just a 10 minute walk from the East Side Gallery and the historic Oberbaumbrücke Bridge, this hostel in the lively district of Friedrichshain enjoys excellent connections to sights across the capital. In a typical Berlin courtyard, the Hotel & Hostel Friedrichshain offers quiet and affordable rooms, an inviting lounge and breakfast area. Wi-Fi is free in public areas. A breakfast buffet awaits guests each morning in the Friedrichshain’s welcoming lobby area. Numerous restaurants, cafés and bars are within walking distance. The Hotel & Hostel Friedrichshain is close to tram, underground and S-Bahn (light rail) stations, offering connections to trendy Prenzlauer Berg, the Kreuzberg districts, Kurfürstendamm Boulevard and Alexanderplatz Square in about 15 minutes. The front desk staff at the Friedrichshain Hotel & Hostel can provide guests with tourist information and help to book sightseeing tours. 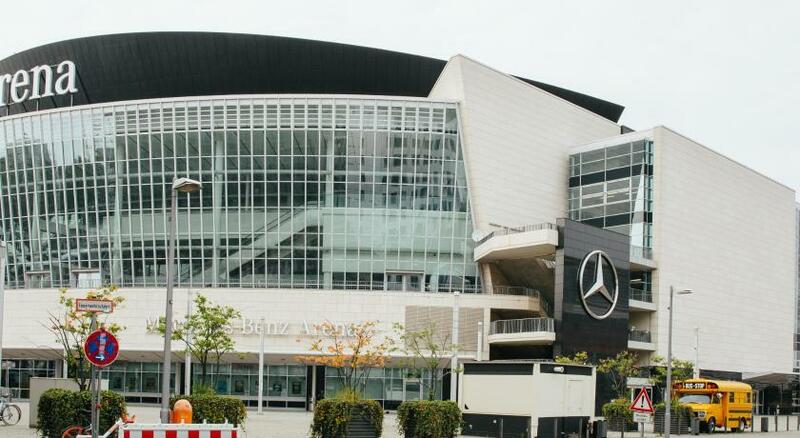 The O2 Arena is a 10 minute walk away. When would you like to stay at Hotel Friedrichshain? House Rules Hotel Friedrichshain takes special requests – add in the next step! Hotel Friedrichshain accepts these cards and reserves the right to temporarily hold an amount prior to arrival. The shared bathrooms were most of the time full of water on the floor, which was a bit uncomfortable. And just a heads up to others, the walls are really thin, I had a group of teenagers right next to me and you could hear everything sadly. Not a safe location; there were always drunk people around and most of the time you'd see police there dealing with them. The location is very interesting. East side of Berlin can still be little different and suprising. In a good way! The booking says it has breakfast, but in reality it was not included. I choose the object based on that and felt dissapointed that the booking description was not true to reality. The hotel/hostel room is clean and comfortable. The hotel was clean and rooms were very big and comfortable . The staff were excellent and very helpful . The location was amazing and the bars and restaurants in the area were great . Over all a great stay . Excellent room and great staff. 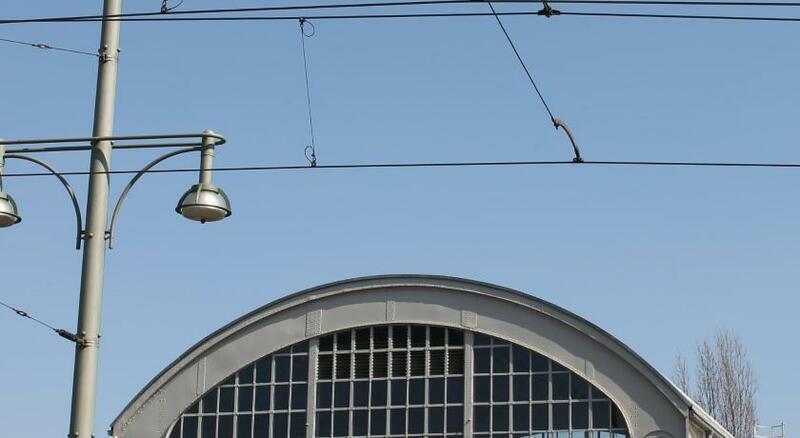 The hotel is very close to train station and it's in the heart of the night life of Berlin. the shower has plastic curtains, it should have proper doors! Great location, good price, friendly staff, clean well equipped rooms. The double bed was actually to single beds together, but it was comfortable. The staff was very helpful and charming. The toilet was blocked and dirty. The showers were dirty. All was unhygienic and disgusting. The walls were dirty. There was loud noise until late past midnight from neighbor rooms. Graffiti everywhere. The staff was VERY unfriendly when I said I want to check out after 1 night and wanted me to pay 3 nights. NEVER AGAIN. Price to expensive for the room and facilities available. Beds very cheap and uncomfortable, cleanliness not the best.